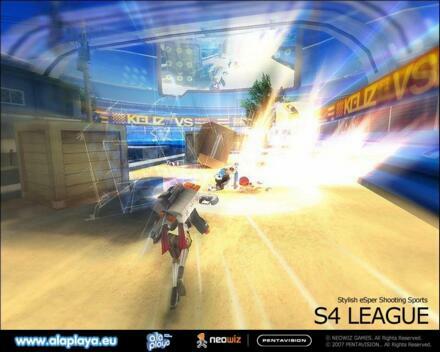 What exactly is S4 League? Style – Find your own style, evolve your own Superhero and become the best S4 player ever. A revolutionary 3D-Cartoon-Rendering Technologie is the current best one and gives you the possibility of cool stunts and hellacious outfits. eSper – choose one of many supernatural skills use them strategically to bring your team to victory. Shooting – Train all weaponservices and find out which one is your strength. Only the best combination of skill and weapon brings you to pool position. Sports – Play together with your friends in teams and reach the goal in different modes like “Deathmatch” and “Touch Down Mode”. Objective is to catch the ball and bring it as fast as possible into the opponents’ goal without loosing it. Just a question of teamwork!